Fortification is the addition of key vitamins and minerals such as Iron, Iodine, Zinc, Vitamins A & D to staple foods such as rice, wheat, oil, milk and salt to improve their nutritional content. These nutrients may or may not have been originally present in the food before processing or may have been lost during processing. Why do we Need Fortification of Food? Deficiency of micronutrients or micronutrient malnutrition, also known as ?hidden hunger?, is a serious health risk. Access to safe and nutritious food is a must and sometimes due to lack of consumption of a balanced diet, lack variety in the diet or unavailability of foodone does not get adequate micronutrients. Often, there is considerable loss of nutrients during the processing of food as well. One of the strategies to address this problem is fortification of food. This method complements other ways to improve nutrition such as such as diversification of diet and supplementation of food. Fortification is a globally proven intervention to address the much prevalent micronutrient deficiencies in the population. What are the Benefits of Fortification? 1. Nutrientsare added to staple foods since they are widely consumed. Thus, this is an excellent method to improve the health of a large section of the population, all at once. 2. It is a safe method of improving nutrition among people. The addition of micronutrients to food does not pose a health risk to people. The quantity added is small and well under the Recommended Daily Allowances (RDA) and are well regulated as per prescribed standards for safe consumption. 3. It is a cost-effective intervention and does not require any changes in eating patterns or food habits of people. It is a socio-culturally acceptable way to deliver nutrients to people. 4. It does not alter the characteristics of the food like the taste, aroma or the texture of the food. Dr. K. Madhavan Nair, former Scientist-F, National Institute of Nutrition, Hyderabad is the Vice President of Nutrition Society of India.He received post-doctoral training in methodologies in the area of iron metabolism at the ICCNA.He has long standing experience in developing public health nutritional interventions in India. 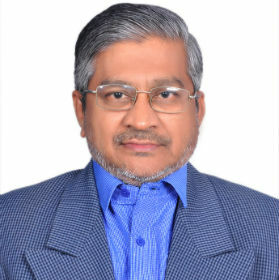 He are an acknowledged expert in the field of food fortification.He has over 100 peer reviewed publications and guided many students.He is a recipient of the Public Health Service International Research Fellow, NIH, U.S.A. and ICMR's BGRC Silver Jubilee Oration Award and Fellowships of three National Academies, NAMS, NAAS and TAS. Worked for the Indian Council of Medical Research for twenty four years (1971-1994). Carried out clinical and operational research studies on: contraception, undernutrition in women and children, nutrition- health and nutrition fertility interactions, delivery of health , nutrition and family welfare services through existing primary health infrastructure in communities where under nutrition and anaemia are common, HIV infection in India Based on these research studies about 150 papers have been published in peer reviewed national and international journals. Currently working as the Director, Nutrition Foundation of India since Jan 2004. Member of Steering Committee of WHO Task Force on Oral Contraceptives, 1977-1984. Member, WHO Steering Committee of Task Force on Evaluation of Fertility Regulating Methods, 1985-1988. Dr. Chandrakant S. Pandav, a public health academician and researcher with over 30 years experience, is former Professor and Head of the Department, Centre for Community Medicine at the All India Institute of Medical Sciences (AIIMS), New Delhi, India. Dr. Pandav completed his MBBS and MD in Community Medicine from AIIMS, New Delhi and M.Sc from McMaster University, Canada in Health Economics. Dr. Pandav is an alumnus of the Department of Human Nutrition, at the London School of Hygiene and Tropical Medicine. Dr. Pandav has been President of Indian Public Health Association (IPHA) and Indian Association of Preventive and Social Medicine (IAPSM). Dr. Pandav has been WHO & UNICEF Consultant on iodine deficiency disorders since 1983, to over 60 countries. 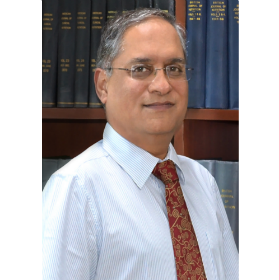 Dr. Pandav's work has been globally recognized in areas of Iodine Deficiency Disorders (IDD), Micronutrients, Health Systems Research, Health Economics, Health Policy, Health Program evaluation, Public-Private Partnership and Human Rights. Dr. Pandav is Co-Editor of 14 books and authored 400 research papers. He is member of technical groups constituted by Ministry of Health and Family Welfare, Ministry of Women and Child Development, Government of India, Indian Council of Medical Research and Food Safety and Standards Authority of India. Dr Pandav is member of Institute Body Post Graduate Institute of Medical Education and Research (PGIMER) Chandigarh. Dr. Pandav has been conferred Dr. M.K. Seshadri Prize and ICMR Gold Medal for his outstanding contributions to the field of Community Medicine. Anura Kurpad is Professor/Head of Physiology and Nutrition, St John's Medical College, Bangalore. 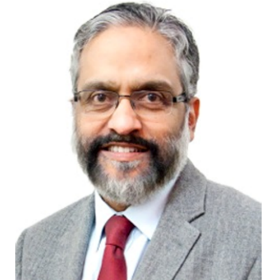 He is Head of the IAEA Collaborating Centre on Nutrition; Past-President of NSI; Fellow of NAMS and IUNS, and Margdarshi Fellow of the DBT-Wellcome India Alliance. He is the Chairman of NIN Scientific Advisory Committee; ICMR Nutrition Division Scientific Advisory Group; ICMR Expert Committee on Nutrient Tolerable Upper Limits, and NIMHANS Ethics Committee. He has over 350 papers, and is a Co-author of Guyton's Textbook of Physiology, Asian Ed. ; Co-Editor, Asia Pacific Journal of Clinical Nutrition; Associate Editor, European Journal of Clinical Nutrition, and Editorial Board, J of Nutrition. His interests are in energy/protein metabolism and requirements in relation to body composition, pregnancy, child growth and chronic disease. He also has interests in iron and vitamin B12 metabolism and requirements. 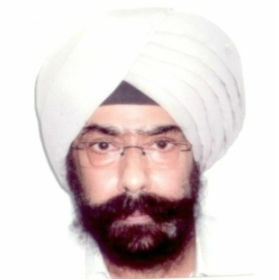 Prof. Harshpal Singh Sachdev (MD, FIAP, FAMS, FRCPCH) is Senior Consultant in Pediatrics and Clinical Epidemiology at Sitaram Bhartia Institute of Science and Research, New Delhi; Adjunct Professor, St. John�s Research Institute, Bangalore; and Visiting Professor, MRC Lifecourse Epidemiology Unit, Southampton. He has served as Professor, Department of Pediatrics, Maulana Azad Medical College; National President, Indian Academy of Pediatrics; Secretary, Nutrition Society of India; and Editor-in-Chief of Indian Pediatrics. He has 265 indexed publications and has edited sixteen books and twenty-three reports. He is a National Research Awards recipient and advisor to the Government of India and different national and international organizations. His research interests include developmental origins of adult disease, nutrition in children, adolescents and mothers in LMICs, and systematic reviews in nutrition and fortification. Experience of over twenty years as a Dairy Chemist. Considerable expertise in the area of dairy processing with special emphasis on the quality assurance of dairy products. Current research interests in the area of functional foods with special health benefits. Developed technology for fortification of milk with micronutrients and also worked on safety and stability of artificial sweeteners in dairy products. Published over 120 research papers/ reviews/ book chapters/technical articles in journals of national and international repute and presented his work in more than 50 national/ international conferences. Published 2 books, 4 teaching manuals and applied for 2 patents. Involved in 30 different institutional and external funded projects, contract research projects as 'PI and Co-PI' and also guided/trained 12 Master's and 4 doctoral dissertations. Recipient of several awards viz. Erasmus Mundus, Indo-US Norman E. Borlaug International Agricultural Science & Technology, Dr P. D. Sethi Research paper annual award, Dr. K.K. Iya Award (2003 - 2007 & 2004 - 2008). Best thesis, Best paper and poster award from IDA, JFST, DTSI, Department of Food Science; UGC-CRO. Nominated for International training under NAIP and DST to USA and Ireland. Member of several professional committees including IDF and FSSAI. Handled various Editorial assignments and manuscript reviewing for both National and International journals including Int Dairy Journal, Food Chemistry, LWT, Int. J. Dairy Tech. etc. Conducted various seminars, workshops, brainstorming sessions, Summer/Winter school/training course for both academicians and personnel from dairy industry. Dr Ambrish Mithal (Padma Bhushan Awardee 2015) Member Governing Council, Indian Council of Medical Research (ICMR) - is presently the Chairman and Head of Endocrinology and Diabetes Division at Medanta, the Medicity where he has established one of India's premier diabetes and endocrinology centres. Dr. Mithal was the first DM in Endocrinology from the All India Institute of Medical Sciences (1987), and subsequently served on the faculty at Sanjay Gandhi PGI, Lucknow (1988-1998) where he was instrumental in setting up the Department of Endocrinology. 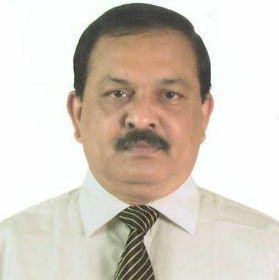 He served as a Senior Consultant, Endocrinology and Diabetes at Indraprastha Apollo Hospital, New Delhi (1998-2009). 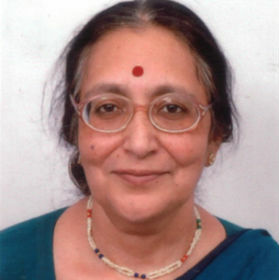 Dr Mithal is past Editor in Chief of Indian Journal of Endocrinology and Metabolism, Past President, Endocrine Society of India. He is a board member of the International Osteoporosis Foundation. Dr Mithal has been the recipient of the Fogarty Fellowship (Harvard Medical School), Japan International Cooperation Agency Fellowship, Boy Frame award of the ASBMR, IOF Amgen Health Professionals Award and the Springer citation prize for his paper on "Global Vitamin D Status" 2013. He recently received the IOF president's award and the B. C. Roy Award. His major current areas of research interest include vitamin D nutrition in Indians, diabetes and heart and new therapies for diabetes. Prof. Yogeshwer Shukla, is presently working as Chief scientist & Area Coordinator of Food, Drug and Chemical Toxicology group at CSIR-Indian Institute of Toxicology Research, Lucknow. 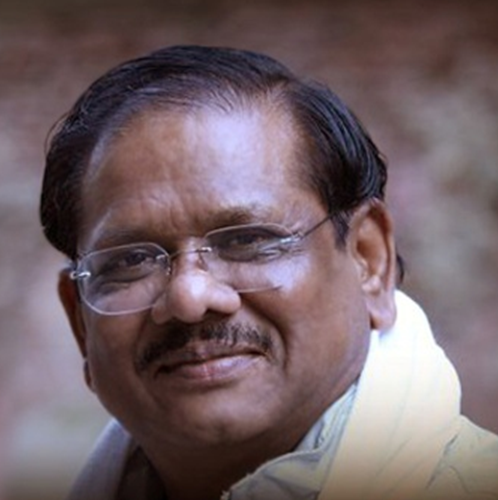 He completed his Masters degree from Lucknow University in 1983 and obtained Ph.D. in 1988. Prof. Shukla has done extensive work in the field of pesticide toxicity and edible oils. He also worked on cancer chemoprevention and cancer proteomics. Dr. Shukla is also recipient of fellowships of many prestigious societies. He has more than 190 publications of international repute to his credit with H-index of 45. Dr. Shukla has supervised more than 20 Ph.Ds. 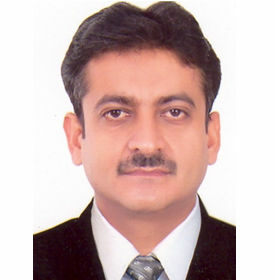 Dr. Shukla also worked at many positions in USA, France, Germany, Australia, UAE and many other countries. 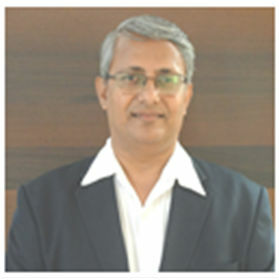 Dr Abhay Harsulkar is Professor and Head, Department of Pharmaceutical Biotechnology, Poona College of Pharmacy, BharatiVidyapeeth University, Pune. His research interestis in the area of Nutrient-Gene interaction in disease-specific pathologies particularly to explore the molecular mechanisms in relation to Omega-3 fatty acids in diabetes and osteoarthritis. Using various clinical samples, animal and cell models, we have demonstrated specific mechanisms whereby the omega-3s regulate gene expression. Using flax oil and fish oil as the source of omega-3s it was shown that dietary flax-oil induce peroxisomal proliferator activated receptors (PPARs) and antagonize the Sterol regulatory element-binding proteins (SREBPs)and modulate several downstream genes. The work on osteoarthritis revealed that the disease pathology is a complex intermixes of pain, inflammation and cartilage degeneration. By using cartilage-explants and synovial cell-lines we could show that the omega-3s normalize expression of Matrix-metallo proteinases (MMPs) and their tissue inhibitors (TIMPS).Although, reversing human non-communicable diseases is a distant dream, nutrient mediated alleviation is an immensely attractive objective. The Food Fortification Resource Centre is a Resource and Support Centre to promote large-scale fortification of food across India. It is a resource hub which provides information and inputs on standards and food safety, technology and processes, premix and equipment procurement and manufacture, quality assurance and quality control for fortification of foods.FFRC's approach is to motivate, nudge and facilitate the food industry to adopt Food Fortification as a norm. This initiative follows the Joint Declaration by all stakeholders to fight micronutrient malnutrition through fortification of food at the National Summit for Fortification of Food, held on October 16-17, 2016 at Vigyan Bhawan, New Delhi after which 5 national level workshops were held to build consensus amongst the country. The initiative is being headed by a team of Coordinators at the Centre who are driving the effort nationwide. 1. To serve as a platform for interaction between all stakeholders, such as Central Ministries, Development Partners and particularly food manufacturers, processers and fortification pre-mix makers. 2. Providing all information pertaining to fortification of food such as scientific evidence, latest fortification technology, national and international experience, government circulars and orders along with the success stories of various states and the food industry. The primary goal of FFRC is to address the deficiency of vitamins and minerals for a healthy nation. For the same, a two-pronged strategy has been adopted by scaling up fortification both in the safety net programmes and making it available in the open market for all. For this aligning the demand and supply of fortified food in the country is being worked towards at the earliest. 1. To educate people about the benefits of fortified foods. 2. Sensitise states about fortification of food and promote them in the Safety Net Programmes to curb the incidence of micronutrient deficiencies. 3. Provide technical support especially to small scale food manufacturers to enable them to produce fortified foods. 4. To train and build capacity for large-scale fortification of foods and provide tools for To provide communication material, technical, scientific and financial support to promote large-scale fortification of food. Ms. Rohini Saran, Deputy Lead, Food Fortification Resource Centre (FFRC), Food Safety and Standards Authority of India (FSSAI), Ministry of Health and Family Welfare, Government of India. She is a multi-faceted professional with over twelve years of experience in Nutrition Marketing and Public Health. At Food Fortification Resource Centre housed in FSSAI, she focuses on leading advocacy, communication and promotion of food fortification at the national level. To scale up fortification, FFRC collaborates with various stakeholders to ensure that all 130-crore Indians may have access to fortified staples. With a background post-graduation in Foods and Nutrition, and MBA (Marketing), she has had an extensive experience in business development, nutrition education & marketing as well as strategic partnerships across both corporate and government sector. She has been featured as one of Asia's Admirable Achievers (2013), and in Famous India:2015 series. 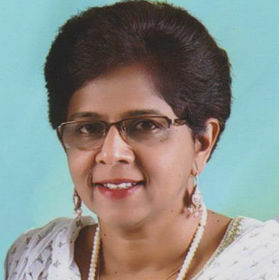 Prior to this, she worked as a nutrition expert on curriculum development, and nutrition consultant with various multinational companies as well as the Government and has made important contributions in programmes like-learning, BetiBachaoBetiPadao, Nutrition Resource Platform, Ahimsa Messengers scheme of MWCD amongst others. She's had various nutrition related articles published in mainstream newspapers and magazines and has been invited as a guest speaker for DPS society's program on Early Childhood Education during her tenure as a guest lecturer at IGNOU. Ms. Rijuta Pandav, Deputy Lead, Food Fortification Resource Centre (FFRC), Food Safety and Standards Authority of India (FSSAI), Ministry of Health and Family Welfare, Government of India. She has a Master’s degree from Harvard University, T.H. Chan School of Public Health in Social and Behavioural Sciences with a concentration in Health Communications. She has a BSc. Degree from University of Delhi in Chemistry (Hons) and a B.A. from Rice University, Houston, Texas, USA in Cognitive Science and Psychology. 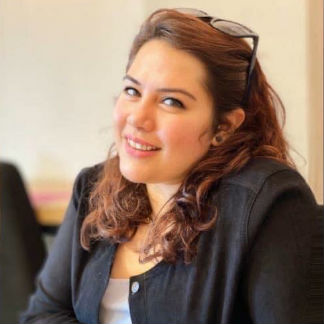 Her ten years of work experience includes research in cognitive neuroscience at Massachusetts Institute of Technology and Vanderbilt University, USA. She has also worked in the area of public health and social and behavioural change communication with the Ministry of Women and Child Development, Government of India and various national and international agencies such as WHO, GAIN, CI and HEAL Foundation. ii. Chandigarh/Haryana/Gujarat/Punjab/Madhya Pradesh/Himachal Pradesh/ Jammu & Kashmir. 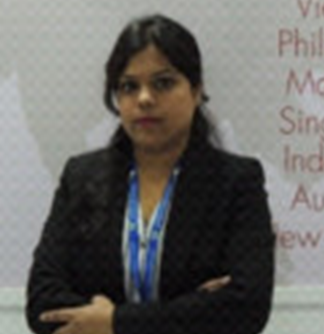 Ms. Deeksha Bhatt is currently working as Project Coordinator with Food Fortification Resource Centre (FFRC), FSSAI. She is leading milk fortification and has been associated with FFRC for almost 2 years now. She is a food technologist and holds 5 years of working experience. 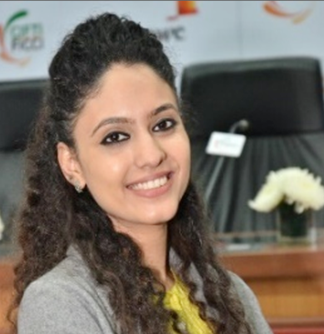 During her work tenure she has worked with esteem organisations like FICCI and Mother Dairy. She holds expertise in Food Regulatory Affairs, technical knowledge through industry experience and advocacy. ii. Uttar Pradesh/Uttrakhand/Andhra Pradesh/ Odisha. 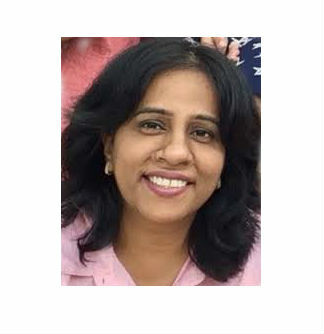 Ms.Vithika Krishnawat is currently handling organised retail (including e-commerce and security forces) and is an outreach person for Double Fortified Salt (DFS). She is the nodal contact for Uttar Pradesh, Uttarakhand, Andhra Pradesh and Odisha. She is also coordinating with design agencies in developing communication collaterals for FFRC. She holds a master's degree in Food Science and Nutrition with more than 9 years of experience in the field of health and nutrition. She has prior experience of managing assignments like fortification of wheat flour, milk, oil, soy dal analogue and salt. She was also involved with efforts for standardization of soy food products in India. 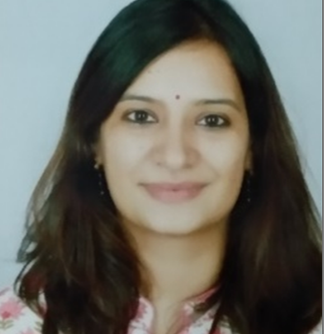 Ms. Sakshi Jain, as a part of FFRC team is currently handling wheat flour fortification, premix, surveillance labs and states including Kerala, Lakshadweep Islands, Tamil Nadu and Telangana. 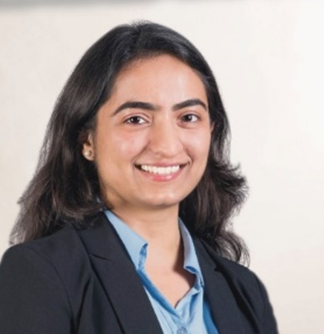 She has honed her knowledge in food domain by completing her academics (graduation and post-graduation) in Food Technology and gaining more than 8 years of experience in FMCG industry. In her past organisations, she has worked in diverse fields of business strategy, research, sales, marketing and business development. Ms. Shivani Moghe is a Food Technologist from Central Food Technological Research Institute, University of Mysore. She is currently working as Coordinator at FFRC and looks after training of Food Safety Officers on Food Fortification and Safe & Nutritious Food at School (SNF@School) Initiative. She is also responsible for scaling up fortification in the states of West Bengal, Jharkhand, Goa and Delhi. 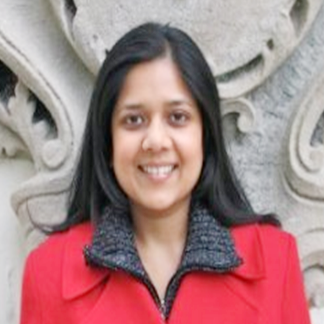 Ms. Neeti Gadgoli is an Information Science Engineer and holds a master's degree in Management Practice. At FFRC, she leads edible oil fortification and is in charge to scale up fortification in the states of Andaman & Nicobar Island, Karnataka, Maharashtra and Pondicherry. She has prior experience of working with global brands such as L&T InfoTech and Oracle Pvt Ltd over a period of four years. 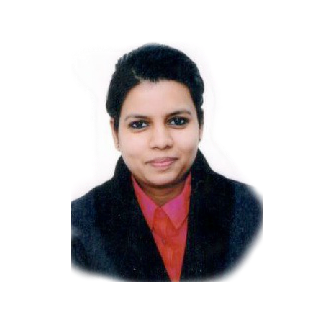 Ms. Kanchan Parchani has a Bachelor's degree in Mathematics from Jesus and Mary College, University of Delhi. 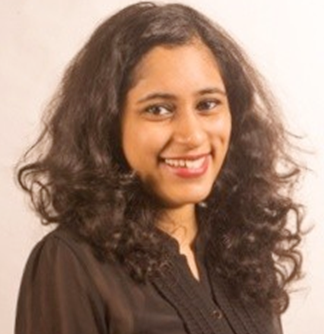 Prior to joining FFRC, she studied management and liberal arts at the Vedica Scholars Programme for Women. 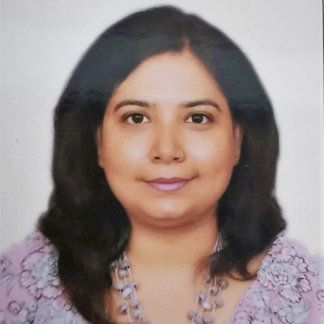 At FFRC, she is the project Coordinator for Rice Fortification, Public Distribution System, and is in charge of scaling-up food fortification in the states of Bihar, Chhattisgarh, Daman and Diu, Dadra and Nagar Haveli, and Rajasthan. She also manages FFRC’s social media platforms. Ms. Vijeta Singhari, masters in Tourism Management, is a part of the FFRC team handling Travel, Event, Admin and HR management. She comes with a vivid experience of about seventeen years in Diplomatic Mission and Service Industry. She has recently been associated with the much talked about Swasth Bharat Yatra, The Eat Right Movement initiated by FSSAI, a pan India cycle rally aimed at improving the dietary habits of Indians, covering more than 2000 places in about 100 days across the country.